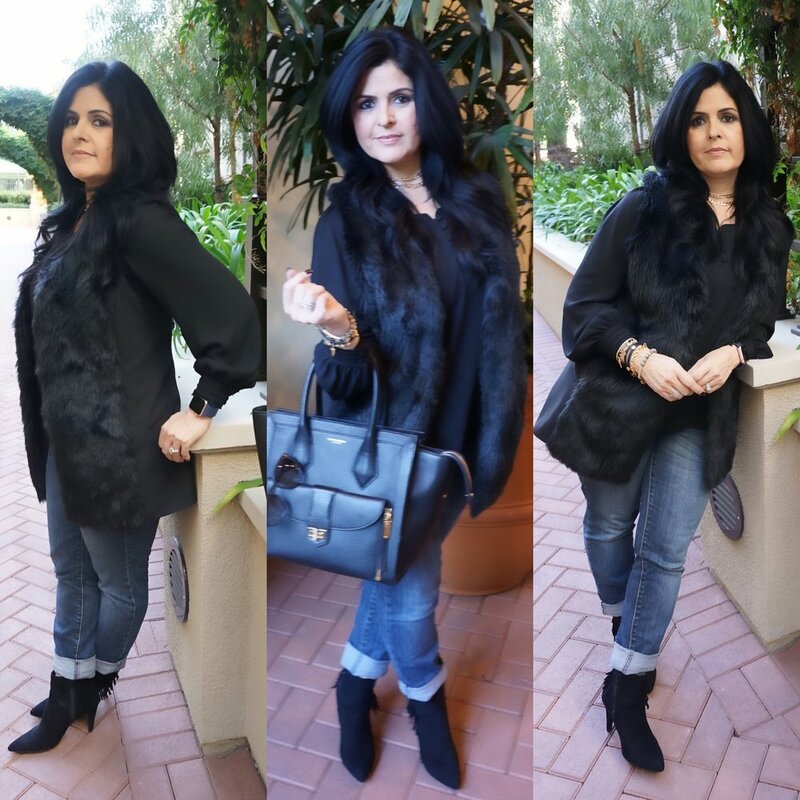 My Wednesday outfit of the day details Target Style Faux Vest,Nordstrom RackPleione Sheer blouse, Nordstrom Catherine Boyfriend KUT jeans can also be found at Nordstrom Rack, the shoes are a TJMaxx find. Nine West suede fringe booties clearances 2 weeks ago $32.00 which are sold out. I did find an almost identical pair by Sam Edelman Fringe Bootie.Henri Bendel Rivington Tote is my carry all tote. My accessories is a gold double chain choker. This link offers a variety of Windsor chokerstyles. Enjoy! !